Lemons come packed with a number of nutrients. These nutrients include fiber, vitamin C, iron and calcium to just name a few. 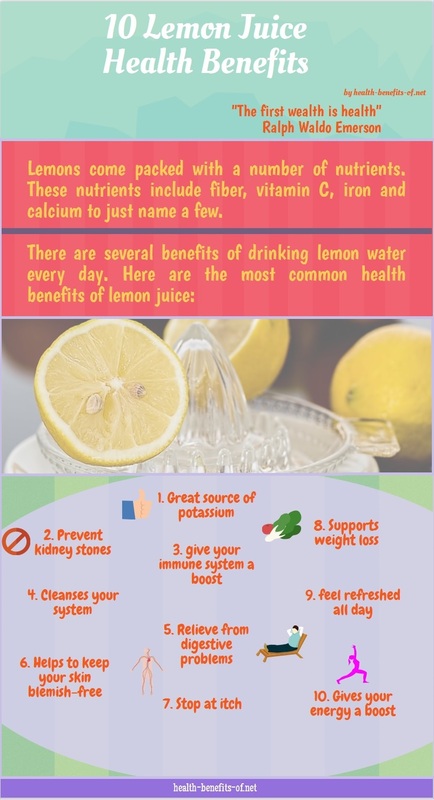 There are several benefits of drinking lemon water every day. Great source of potassium: Lemons are quite high in potassium and are therefore good for your heart, nerve function, and the brain as well. Prevent kidney stones: If you drink lemon even half-cup of lemon juice every day, the citrate levels in your urine rise. Research done by scientists has proven that it prevents you from developing calcium stones in the kidney. They give your immune system a boost: Lemon juice is completely full of vitamin C, which is like the jumper cables of our immune system. Vitamin C inside your body is the first thing to fall when you are stressed. This is the reason why most experts recommend the intake of vitamin C during stressful days. Cleanses your system: Lemon juice helps your body is flushing out toxins by enhancing your enzyme function. Relieve from digestive problems: Another health benefit of lemon juice is that helps you in digestion by loosening the toxins in your digestive tract. It also helps you in relieving symptoms of indigestion such as burping. 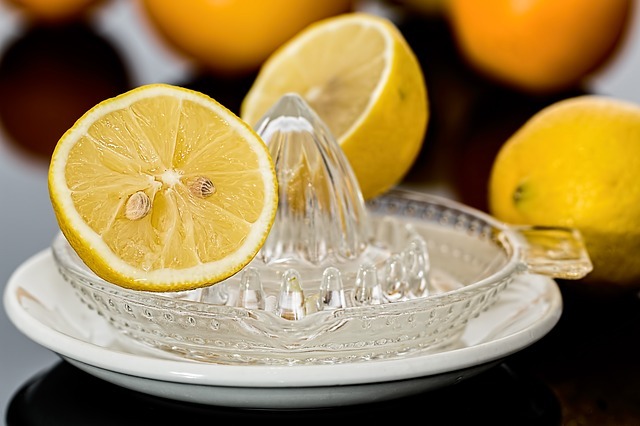 Helps to keep your skin blemish-free: The antioxidants that are found in lemon juice help you to not only get rid of blemishes but wrinkles as well. You can also apply lemon juice to age spots and scars for reducing their appearance. Plus, you can be sure that lemon juice would maintain the radiance of your skin since it detoxifies your blood. Stop an itch: Lemon juice also helps in soothing your skin when going through itching caused by poison ivy or insect bites. This is because it would be decreasing the acidity in your body. Supports weight loss: Lemon juice is great for losing weight because it helps in keeping your hunger cravings in check. This is because of the pectin fiber present in lemons. Start your day right: Leave your regular caffeinated drink behind and replace it with fresh lemon juice. You would feel refreshed all day, something that you can’t achieve when you have caffeine in the morning. Gives your energy a boost: Lemon juice provides energy to your body as soon as it enters your digestive tract.